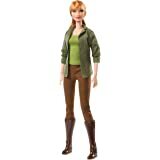 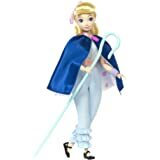 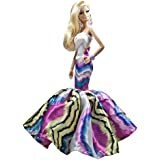 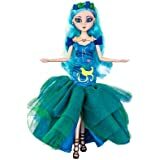 Captivate on land and at sea with this true-to movie, 12” scale, Princess Mera fashion doll. 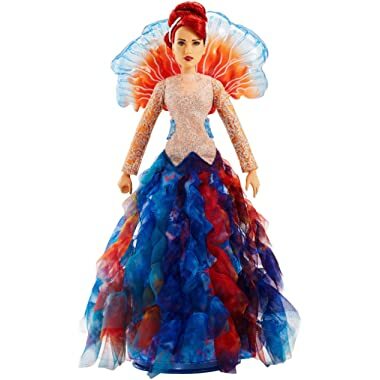 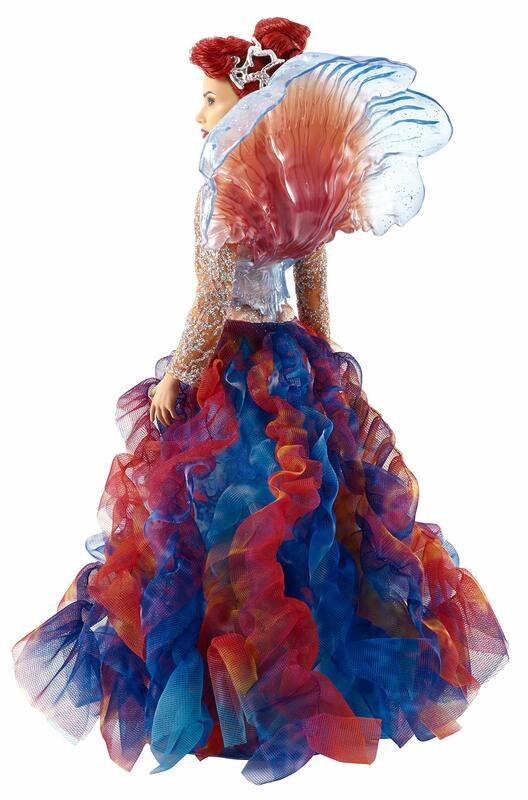 The stunning heroine wears a colorful, full-length royal gown with aqua blue and red tulle layered skirt, shimmery long sleeve top, and dramatic jellyfish collar piece. 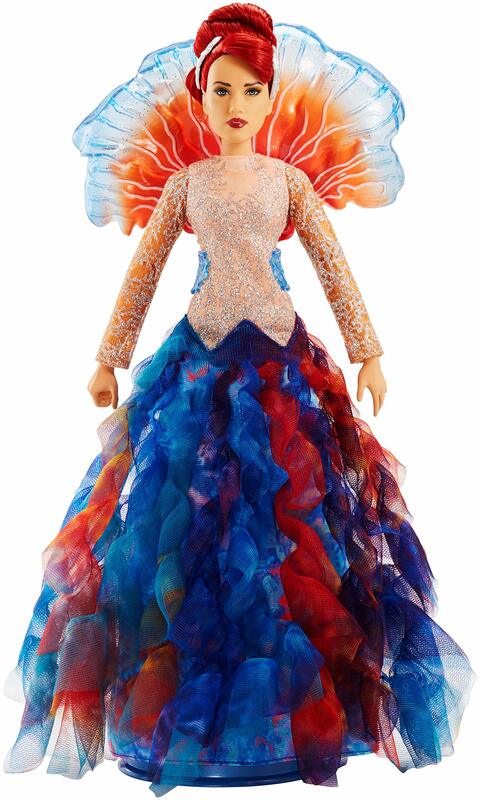 She was created with state of the art designs, for the most authentic lead actress and character likeness. 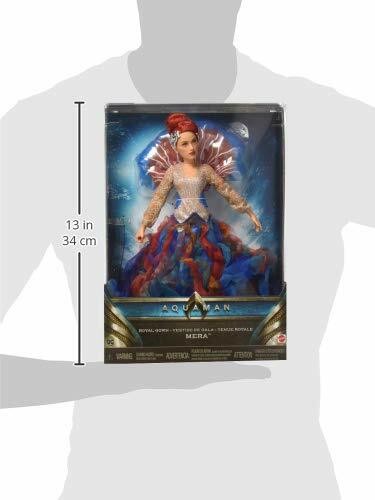 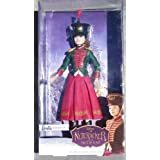 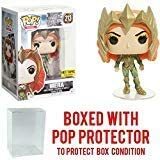 This premium Mera doll is perfect for movie fashion play and display. 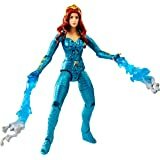 You can also choose the Mera fashion doll in her shimmery aqua battle suit with tiara, boots, gauntlets and water blast super power. 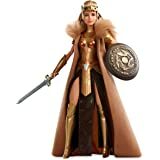 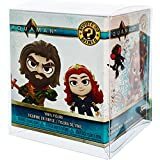 Together they create a powerful princess of Atlantis collection! 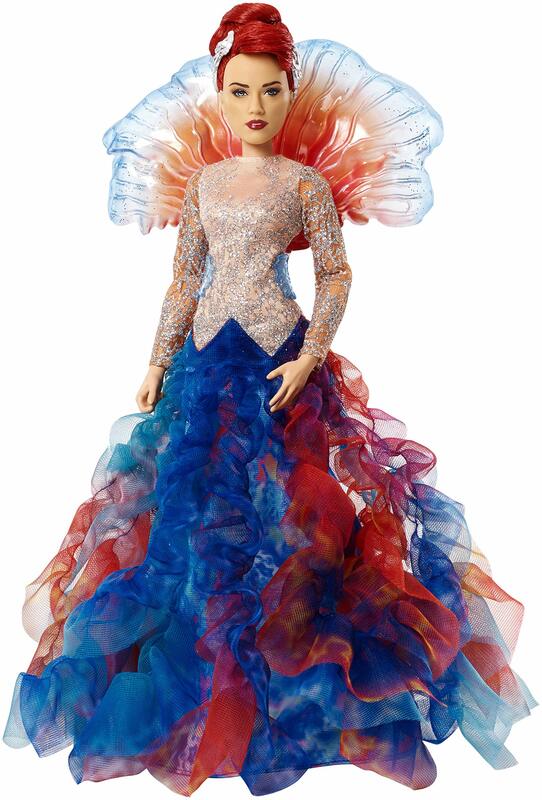 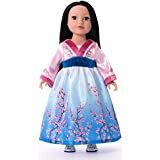 Each fashion doll sold separately, subject to availability.